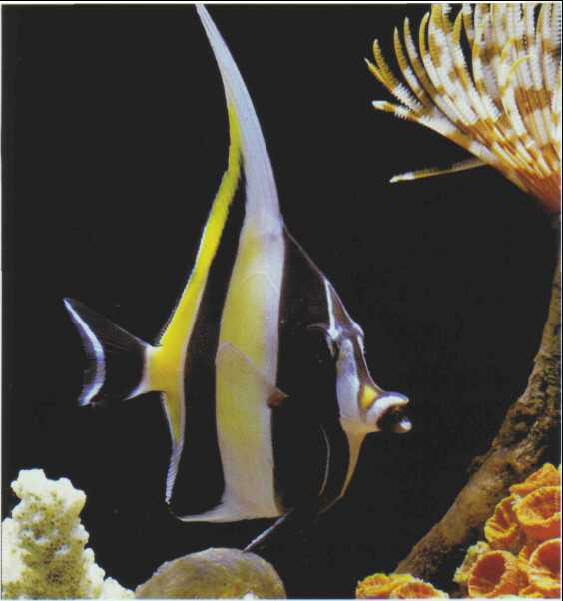 The Moorish idol normally feeds on algae and sponges. In captivity it must be given a wide range of food so that it can make its own choice. It does not tolerate the presence of other Zanclids. Z. cornutus is considered a closely related species, but is distinguished by the absence of small spines in front of the eyes. Size: 25 cm.